In the aftermath of the 1992-1995 Bosnian war, the discovery of unmarked mass graves revealed Europe's worst atrocity since World War II: the genocide in the UN "safe area" of Srebrenica. To Know Where He Lies provides a powerful account of the innovative genetic technology developed to identify the eight thousand Bosnian Muslim (Bosniak) men and boys found in those graves and elsewhere, demonstrating how memory, imagination, and science come together to recover identities lost to genocide. 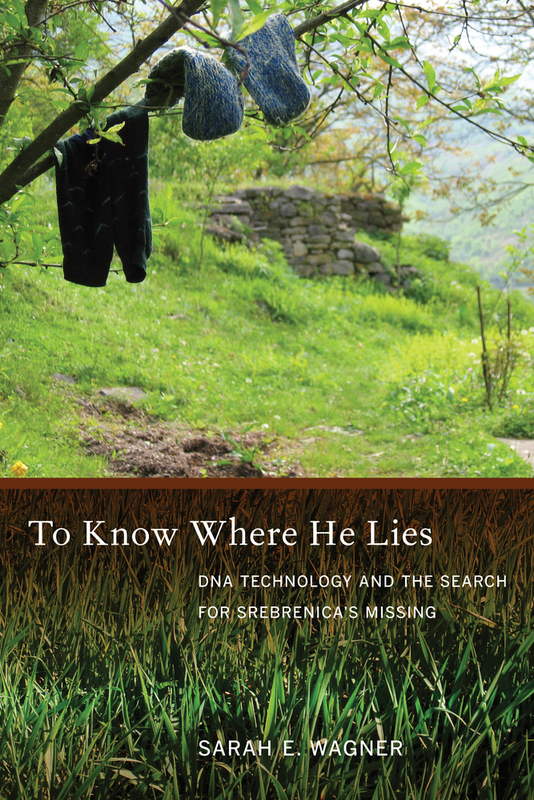 Sarah E. Wagner explores technology's import across several areas of postwar Bosnian society—for families of the missing, the Srebrenica community, the Bosnian political leadership (including Serb and Muslim), and international aims of social repair—probing the meaning of absence itself. Sarah E. Wagner is Assistant Professor of Anthropology at the University of North Carolina Greensboro. 7. "That you see, that you know, that you remember"